We had the pleasure of spending much time with leaders, Marius and Elena and their beautiful daughter Jazgul during our September trip. 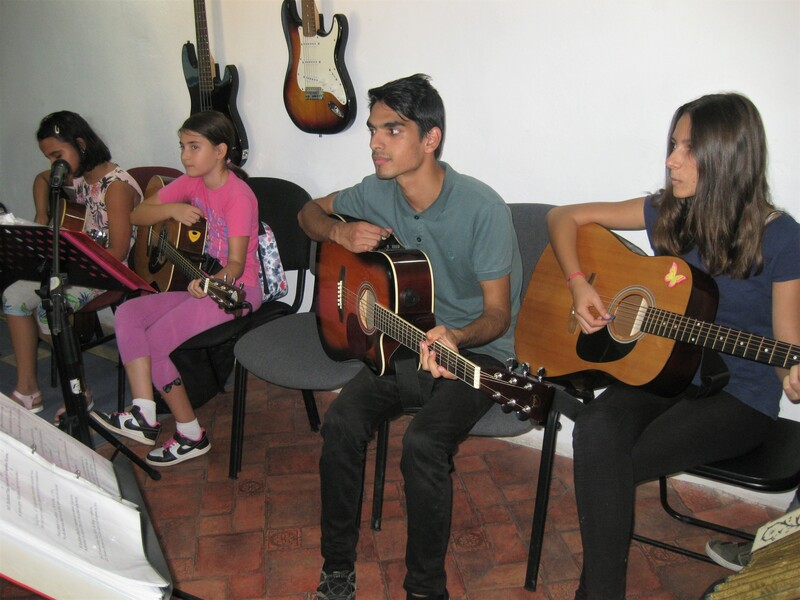 There is no end to their skills and efforts – they had spent much of the summer repairing the building with plastering, flooring etc to ensure that they had a workable kitchen, 2 class rooms as well as their main room where the music lessons and the Saturday Praise and teaching sessions take place. There are still some essential repairs to be done and we left sufficient funds to replace 2 leaking windows. However there is still much outstanding work to bring this building to an acceptable standard – like renewing the ceiling in the main building and ensuring they have an indoor water supply and flush toilet – the children currently use a Ty Bach in the garden!!! We are hoping to raise further funds for these essential repairs – however, there is some doubt about the availability of the building for the future. We would value your prayers for this thriving and anointed ministry.